In recent years, search has been the important but sleepy mainstay of the digital advertising market. Even though it garners the most digital advertising dollars, the attention paid to search has faded as growth has matured and novel channels like social and video have emerged. However, search is poised to experience a late-stage renaissance as several shifts in the digital media landscape push marketers toward search advertising. Privacy restrictions will nudge marketers toward search. Marketers will begin to view search advertising more favorably as privacy restrictions reduce advertising options by making data gathering and targeting more difficult. 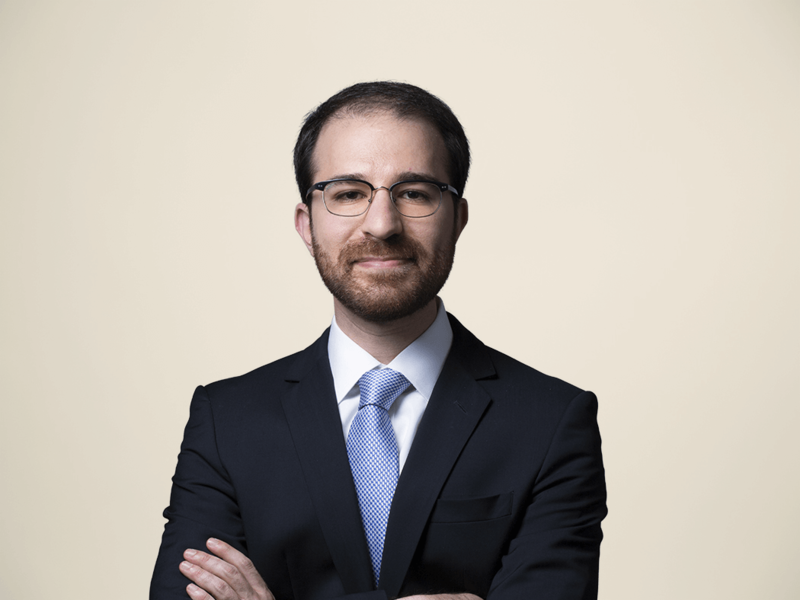 These restrictions include regulations like Europe’s General Data Protection Regulation (GDPR) and the anticipated update of the ePrivacy Directive as well as company-imposed ones like Apple’s Intelligent Tracking Prevention on its mobile Safari browser. Search ads are relatively less vulnerable to these rules. Brand safety concerns are making search look more attractive. As media content becomes more democratized and the use of programmatic advertising expands, poor ad placement is becoming a growing concern. YouTube’s reputation suffers every time an ad is placed alongside extremist videos or predatory child videos. And Facebook’s reputation suffers every time new information emerges about how its network is being manipulated by foreign actors. While media distributors like YouTube and Facebook have taken important steps to combat the problem, it will be difficult to eradicate totally. And the longer such problems persist, the more that marketers will feel drawn to search, where a mismatch between content and advertising is less likely. eCommerce’s emergence as an advertising channel will benefit search. Amazon in particular is increasingly demonstrating its value as a search engine. Consumers in the US and Europe are much more likely to discover the brand of a recent purchase from Amazon rather than from a traditional online search engine. Voice is gaining popularity and is well-aligned with search. While spending on voice search marketing will remain imperceptible in the near term, it holds long-term promise. Forrester expects that the installed base of smart speakers in the US will grow significantly over the next five years – setting the stage for future voice-search-related marketing spending. And many smart-speaker users are interested in using their device for activities such as researching and ordering products, which could provide marketing opportunities. Still, voice technology capabilities and offerings will need to improve for these opportunities to materialize. Of course, the impact of these developments on search advertising spending will be somewhat dulled by the fact that search is already a very large market; this makes it less susceptible to dramatic movement. 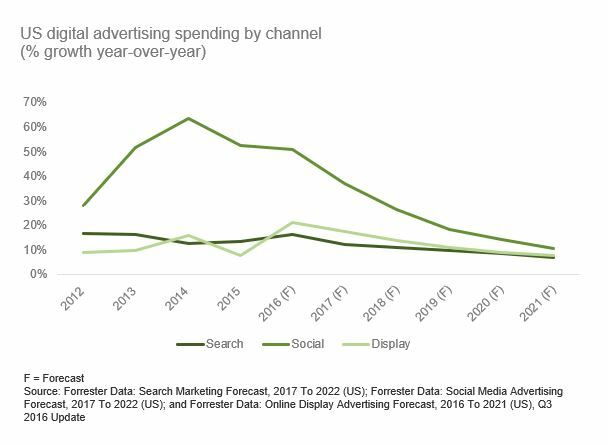 In fact, we still expect search’s share of digital advertising spending to decline over the next five years. However, we believe that the above factors will make the slope of that decline a more gradual one. And even as its spending share declines, we believe search will begin to receive more attention – particularly at the device level where the underlying drivers show greater dynamism. For further detail on how we expect search advertising spending to evolve over the next five years, how it will vary by device type and industry vertical, and what data gives us confidence in our forecast, ForecastView clients can read our recently published search advertising forecasts for the US and Europe.